Picture a PC monitor, with high refresh rates, low response times, snazzy styling, and RGB mood lighting. 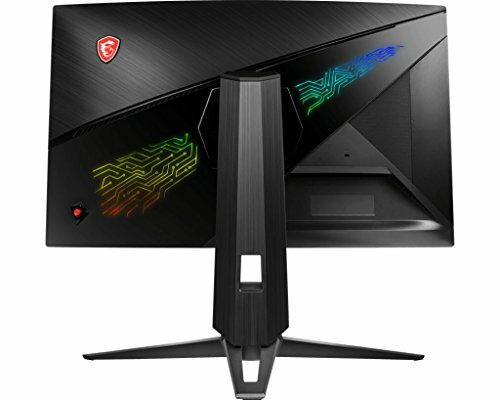 Looks a lot like a new ROG gaming monitor from ASUS, right? Indeed it does, but it also describes MSI’s new Optix MPG27CQ. 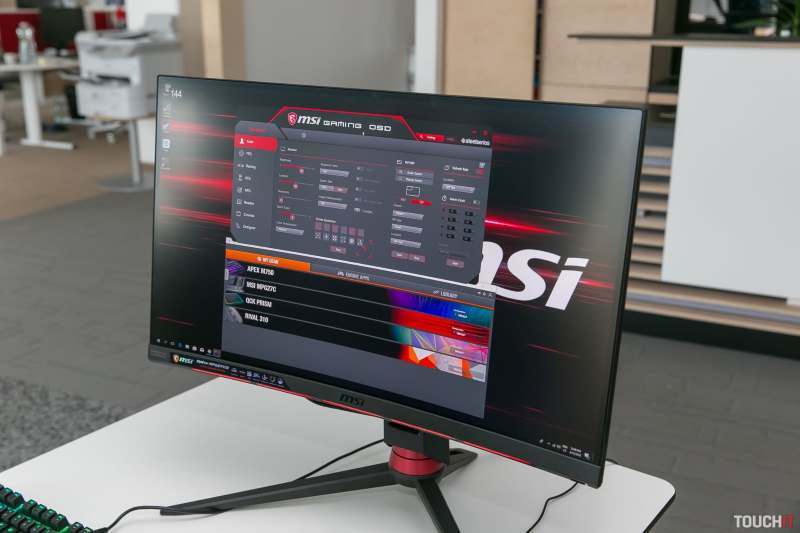 Read our MSI Optix MPG27CQ Review. 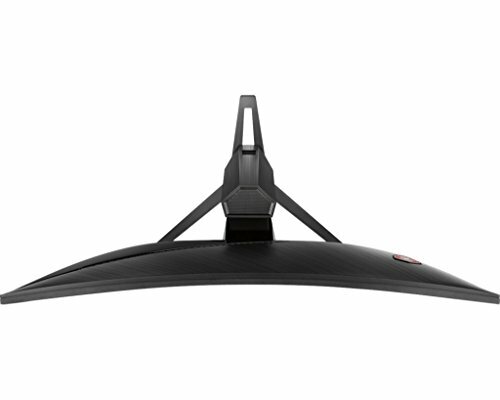 The MPG27CQ arrives slap bang into the sweet spot in PC gaming monitors. It’s a 27-inch panel with 1440p pixel grid. That makes for a very nice compromise between visual detail and smooth gaming. 4K gaming, after all, is a nice idea, but even the very latest and greatest graphics cards can’t drive all those pixels at the triple-digit frame rates required for seriously slick and smooth gameplay. Meanwhile, if you stretch 1440p beyond 27 inches, the result is increasingly big, fat, and fugly pixels. A basic model with a cheap TN panel limited to 60Hz refresh isn’t exactly the stuff of gaming fantasy. Instead, what you want is something with a quality LCD panel, support for 120Hz-plus refresh, low latency, fast response times, and maybe some adaptive sync capability. What you want is something like the Optix MPG27CQ. 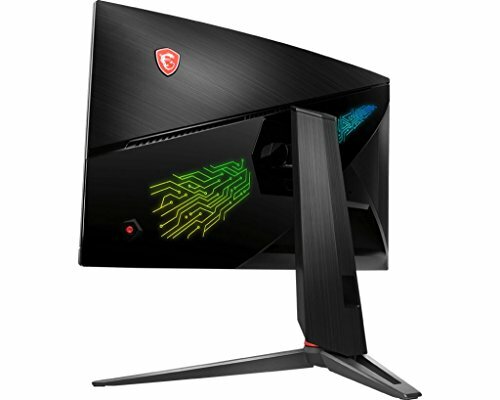 To the 2560×1440, 27-inch sweet spot the MPG27CQ adds a long list of gaming- friendly features, including 144Hz refresh, 1ms response with user configurable overdrive and anti-blur, a low-input lag mode, support for AMD’s FreeSync technology, and a gentle 1800R panel curvature thrown in for good measure. But that’s not all. You also get some funky styling, including RGB LED mood lighting. The net result is more than a little reminiscent of ASUS’s ROG gaming monitors, albeit without quite the same level of polish and pizzazz. But where the MPG27CQ differs from the PC gaming norm is by virtue of its LCD panel. MSI has used VA technology. That’s not unheard of amongst premium PC monitors;VA offers significantly better colours and viewing angles compared to TN panels, and superior contrast to IPS technology. The problem is that VA doesn’t exactly have a world-beating reputation when it comes to pixel response. 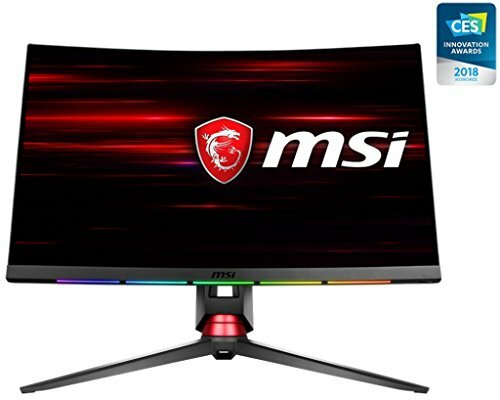 Certainly, it isn’t the obvious choice for a gaming monitor. However, it’s clear that the MPG27CQ is defined by its VA panel. On the upside, the colours pop and the benefits of the 3,000:1 contrast ratio are undeniable: deep blacks that even the best IPS monitors can’t match. The downsides begin with the warm, oversaturated colour balance that’s a hallmark of most VA screens. For gaming, that’s no biggie. More of a concern is the pixel response. MSI has fitted the MPG27CQ with a snazzy OSD menu, with lots of gaming-centric features, including user-configurable pixel response. The fastest mode introduces noticeable inverse ghosting as a consequence of what must be very aggressive pixel overdrive. It also forces on MSI’s anti-blur mode, which limits the backlighting to 50%. While the result is improved response and reduced blurring, the costs are too high. Even the middle of the three settings comes with an inverse ghosting trade-off. The sense is of MSI trying to hammer a square VA panel peg into a round PC gaming hole. That doesn’t stop the MPG27CQ from being a nice display, but it does compromise its ability to fully deliver on its premium gaming panel remit. Superb feature set, nice styling, bold colours and contrast but with flawed pixel response.